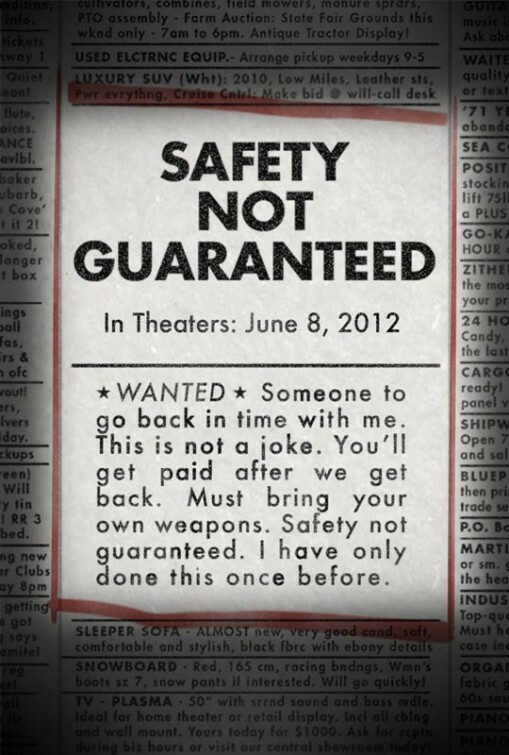 Based on an ad that appeared in the mid-1990s in a survivalist magazine, Safety Not Guaranteed is the story of Kenneth, an eccentric supermarket clerk who claims he can time travel, and Darius, a magazine intern who thinks Kenneth might be her scoop. The movie claims to be a “hilarious, smart, and unexpectedly heartfelt journey,” which actually might be true since it is produced by the same people who produced Little Miss Sunshine, one of my favorite movies. Plus, Aubrey Plaza! She is awesome! Vintage? Retro? Plaza in The Jeannie Tate Show!